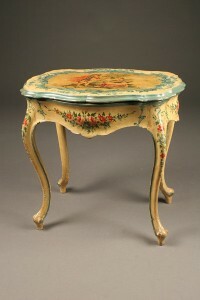 Circa 1870, we found this gorgeous occasional inlaid table in the intaglio fashion on a buying trip to Holland. 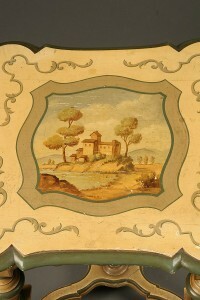 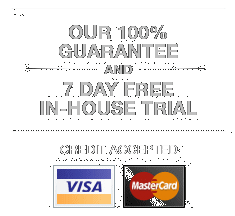 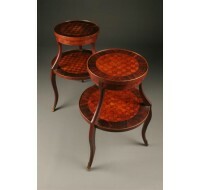 Most inlay work we come across is fashioned out of two veneers. 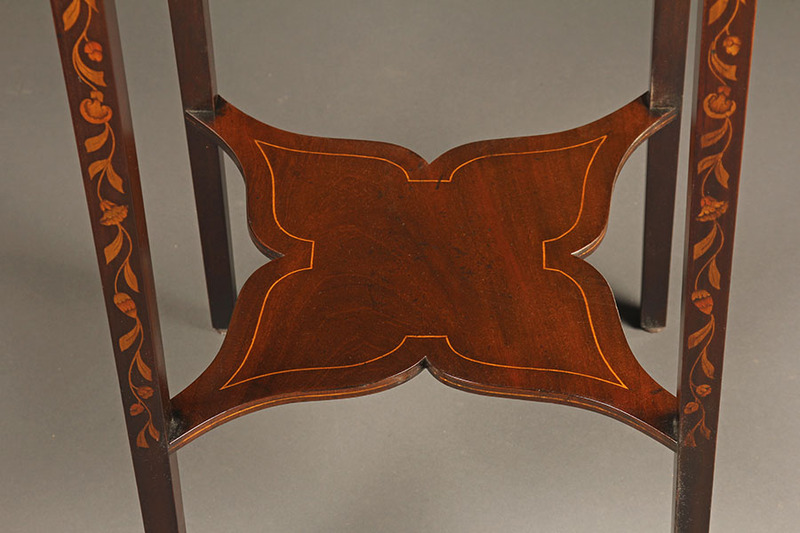 However, to create the Intaglio style, the craftsman begins with a solid piece of wood and chisels out a relief for the shaped veneer pieces to go into. 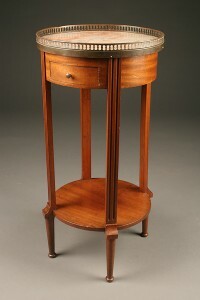 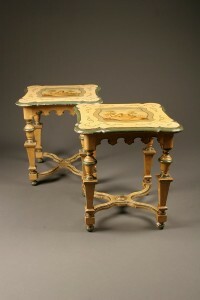 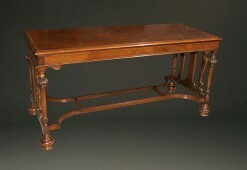 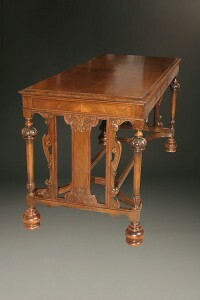 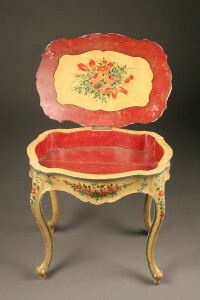 For this piece, the craftsman started with mahogany and used satinwood and tulipwood for the inlay. 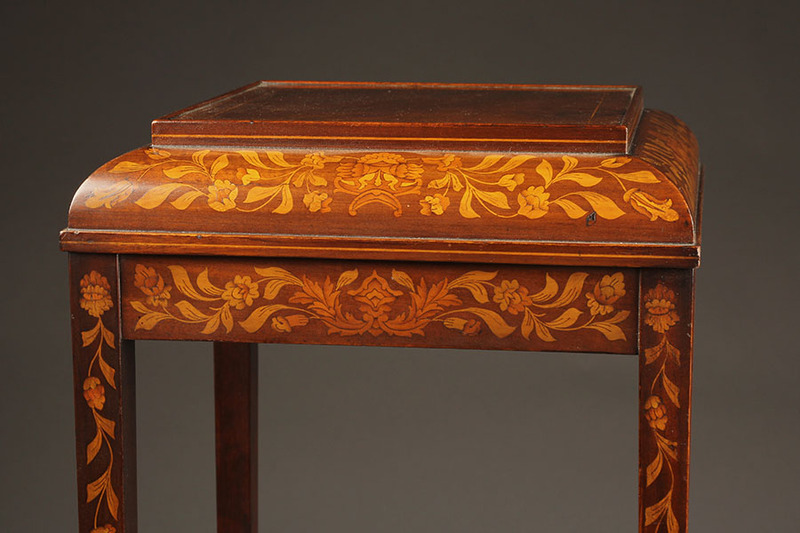 There is a floral pattern to the inlay featuring medallions and acanthus leaves. 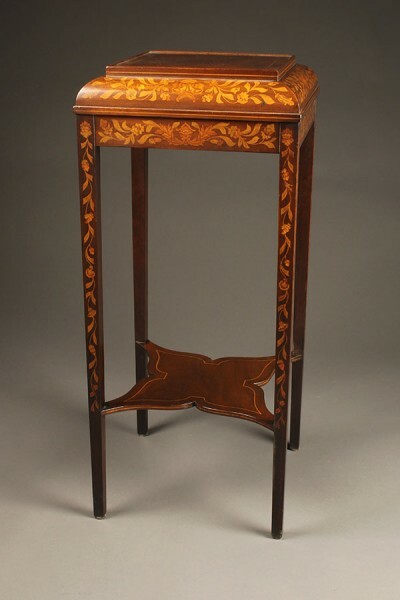 The craftsman also included satinwood string inlay, the delicate line going around two areas on the top and on the lower decorative shelf. 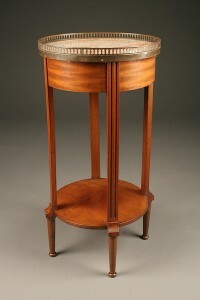 There are many elements in this table that reflect the Dutch style – straight-tapered legs, clean lines, Intaglio craftsmanship and the hefty quarter round molding that curves from the base to the top.